As Wealth Management Advisor, Brian Dunston serves as your wealth management coordinator and consultant. Brian collaborates closely with you and an experienced team of Fifth Third specialists to deliver the right investment solutions for your objectives. 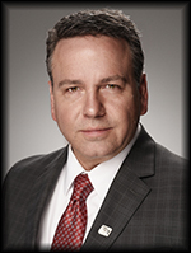 Brian started in the financial services industry in 1992 and joined Fifth Third Bank in June 2014. My mission is to understand my clients complexity, collaborate with them to build a workable strategy, and challenge them to achieve it.